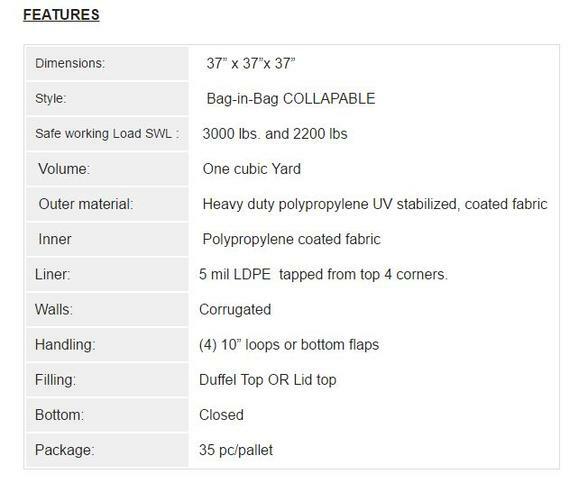 DURA-SACK™ Bulk Bags are cost saving waste handling containers featuring a duffle top for easy filling and comes with tie string, flat bottom for stability, collapsible for easy storage, space saver, 10 ‘’ lifting loops for handling by forklift, rigid body to protect your products and contamination free. 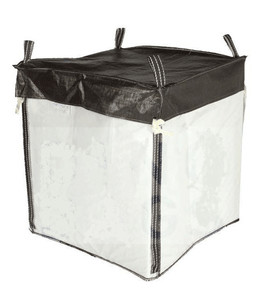 Hazardous material bulk bag is a self-supporting bag by inserted corrugated side panel. Hazmat bag has 5 mil PE liner inserted. The liner secured top 4 corner by heavy duty tape. This design is also U.N. approved for Hazardous Material Packaging Groups II and III. 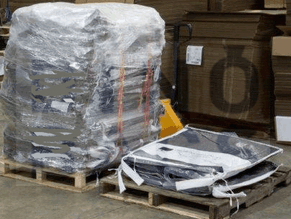 These bulk bags are produced in a ISO certified facility. Other bags with top and filling options are available upon request. 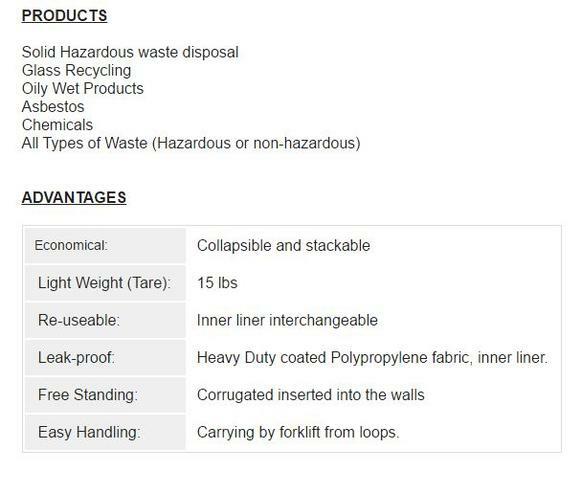 Our hazardous material container is acceptable for incineration. Bags come folded, 35 pcs per pallet. It can be re-folded after being used. PIPELINE & HAZARDOUS MATERIAL SAFETY ADMIN.